If you ride public transportation, you should have a plan if something bad happens. Here’s the steps you should take after a bus accident to protect yourself. We’re all taught what to do when our vehicle suddenly decides to spontaneously combust, but what should we do if the public transportation vehicle we’re in (say, a bus) suddenly takes an unforeseen detour off the side of the road? What are the passengers supposed to do after a bus accident? Americans board some kind of public transportation 35 million times each weekday, and yet many don’t know the answer to this question. Do you? You may have heard about the 32 Chinese tourists and four North Koreans who were killed when a bus fell off a bridge near Pyongyang recently. Or perhaps you saw the school bus that plunged off a mountain in India, resulting in the deaths of 23 children and four adults. It seems like these things happen often, but in America, the numbers show otherwise. 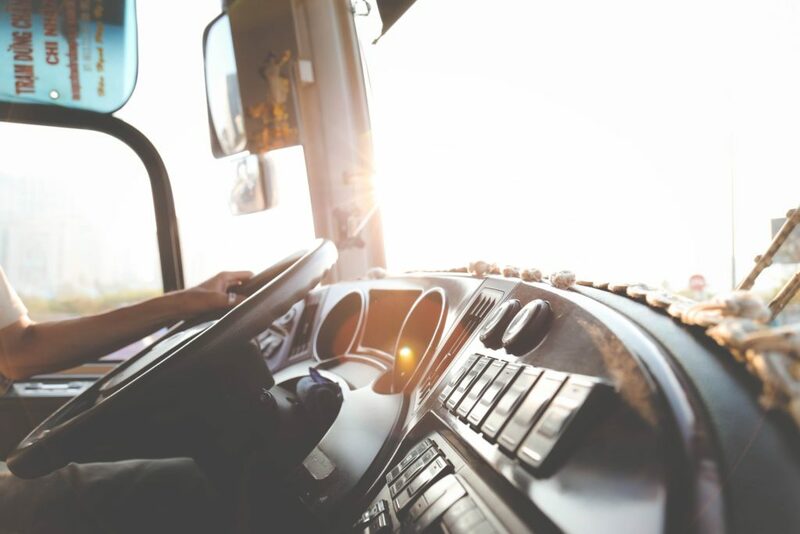 On average, about 63,000 buses are in accidents each year. Of those, only about .5% lead to fatalities. However, they aren’t exactly rare. The number of bus accidents per one million miles driven is comparable to the number of car accidents per one million driven miles. So it’s always a good idea to be prepared for the worst. Bus accidents are frightening not only due to the sheer mass of the vehicle but also because of the number of people involved. If you are in an accident, be sure to take the following steps. You’ll most likely be in shock, but keep an eye on the driver and staff members. It is their responsibility to call for accident help if a crash occurs. However, if company members are injured or killed, that responsibility will fall upon you. Whatever happens, it is vital that emergency personnel know to come. This isn’t the time to act macho and refuse an examination or medical treatment. Yes, that’s true even if you’re in a minor accident. When your body experiences a trauma, it will send rushes of adrenaline and endorphins (yes, those things that make you happy) throughout your body. It’s like sticking a band-aid on a boo-boo. You could be injured, but you may not realize it immediately. And finally, there is the important fact that, if you were harmed and did not seek medical treatment within a specified time frame, you may not be able to file a future claim. Dr. Harry W. Brown’s Arrowhead Clinic writes, “The human body is not meant to endure that kind of impact, therefore usually leading to a serious injury. Even in low-speed car accidents that cause little to no damage, injuries are still common and even likely. If you are not hurt, gather as much evidence as you can about the scene. Ask outside witnesses for their information, then ask for the same from the other victims of the crash. Next, take photos on your cell phone. Accident photos can be useful in providing additional evidence for any future claims. Likewise, write down (or save in your cell) any information you can remember from the series of events surrounding the crash. Finally, when the police officers arrive be sure to get the name and phone number of the head officer. If he has a business card, request one. So when you feel like saying, “I’m fine” or “I’m not hurt,” stop yourself. In a similar manner, be very careful if you post anything on social media about the accident. Investigations into social media are not uncommon, especially if the company being sued is trying to claim your injuries are fake. The accident happened and it’s all behind you now. Right? Unfortunately, this may not be the case. Laws vary by state, but you must submit your case within a specified time frame. If you do not file by this period, you cannot receive compensation for any injuries or trauma. So the first step after recovery is to check your state’s statute of limitations. Most of the time, public transportation is operated by the government. This means the laws and regulations surrounding an accident claim are intricate, to say the least. It also means you’re going to want some help. Contact a local attorney at USAttorneys and discuss your personal circumstances. He or she will guide you down the correct path. Shortly after the accident, you may be offered a settlement from the agency responsible. Discuss the settlement with a lawyer before accepting it, as it may be much lower than you deserve. Keep copies of all medical records that occurred after the crash. Do not discard any evidence you collected the day of the accident. Keep it all in a safe and secure location. Know your state’s Good Samaritan Act before performing medical care on victims of the crash, as you may be sued if their condition worsens. The majority of these laws do extend protection over civilians if the victim’s life is at stake and the individual makes reasonable efforts to save it, but some only extend protection to medical professionals. Did you know what steps to take in the event of a bus accident? Car crashes may not require an accident attorney, but any collision involving public transportation certainly does. Know what to do if danger comes knocking at your door. Interested in more life answers? 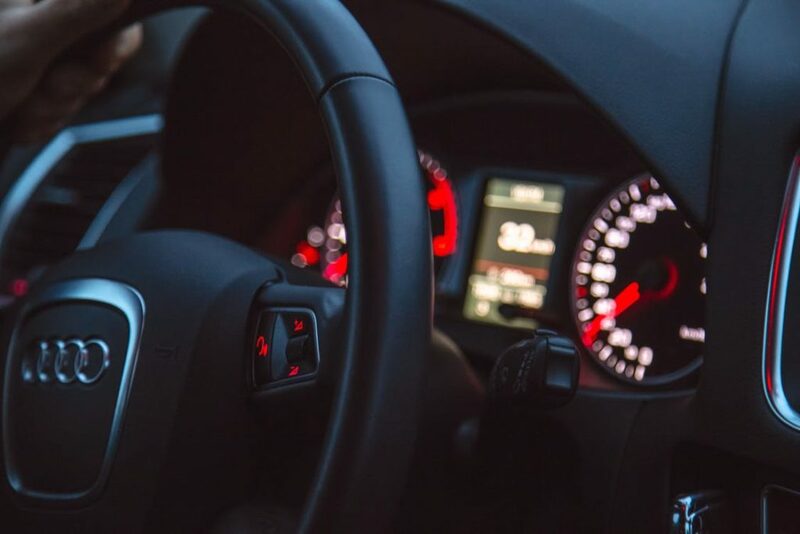 Take a look at our article on the five most common driving hazards and keep those unwelcome knocks far away for the foreseeable future. Everything changes once you start a family. Your lifestyle experiences a shift; even your goals and priorities have to adjust. But your dream car doesn’t have to change as well. You can still pine over a Mercedes-Benz. In fact, you can own a Mercedes-Benz! Here are three Mercedes-Benz models for you and your family. 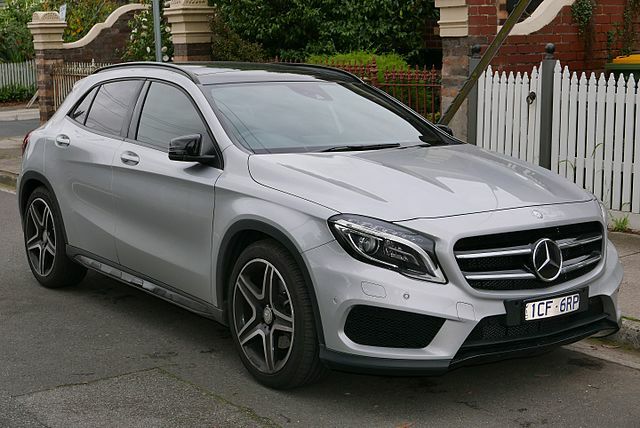 The Mercedes-Benz GLA-Class SUV is a compact yet roomy car that can fit a family of five. And it doesn’t cost as much as most other Mercedes-Benz models. With its average price, you get to enjoy a luxurious interior with an amazing entertainment system which, if you’ve been a parent for a while, you know is important when driving with kids. You need to keep them entertained if you don’t want them to start getting cranky! Its acceleration rate may not be as good as other Benz models, but that’s actually a good thing for a family car. After all, you want to drive as safely as you can with your kids in the backseat. Speaking of safety, the GLA SUV has an array of safety features including brake assist, daytime running lights, child safety locks, front and rear head air bags, traction control, and electronic stability control. With a strong engine and a cabin finished with luxurious materials, the GLC-Class SUV will always take your family on a fun, smooth ride. Like the GLA-Class, it has enough space in the back for kids and their car seats. The main selling point of the GLC-Class is its focus on convenience and comfort—two very important things that you need to look for in a family car. Its features include cruise control, auto-off headlights, interior cargo shade, heated mirrors, keyless entry, and mirror memory among others. The only downside to the GLC-Class is that it doesn’t have a lot of room in the trunk, so grocery shopping with the kids might be a problem if you like buying in bulk. Nonetheless, the Mercedes-Benz GLC-Class is a favourite among families. The Mercedes-Benz GLE-Class is bigger than the GLA and GLC models. But, like the two previous classes, it also has a powerful engine with a posh interior that’s the signature of Mercedes-Benz cars. It also has a roomy cargo, so bulk shopping won’t be a problem if that’s your thing. Like the GLA class, it has a great entertainment system that you and your kids can both enjoy. In addition, it also has the convenience and comfort of the GLC-Class, with its lengthy list of features that will make every drive feel effortless. Safety is also a priority of the GLE-Class, so you can be confident on the road while driving with your kids. Mercedes-Benz doesn’t only cater to singles and bachelors; they’ve also come up with SUV models that are kid and family-friendly. So, if you’re looking for an affordable Mercedes-Benz family car, look no further. Mercedes-Benz Guilford has got you covered. Choose among second-hand models and find the one that best fits your requirements. 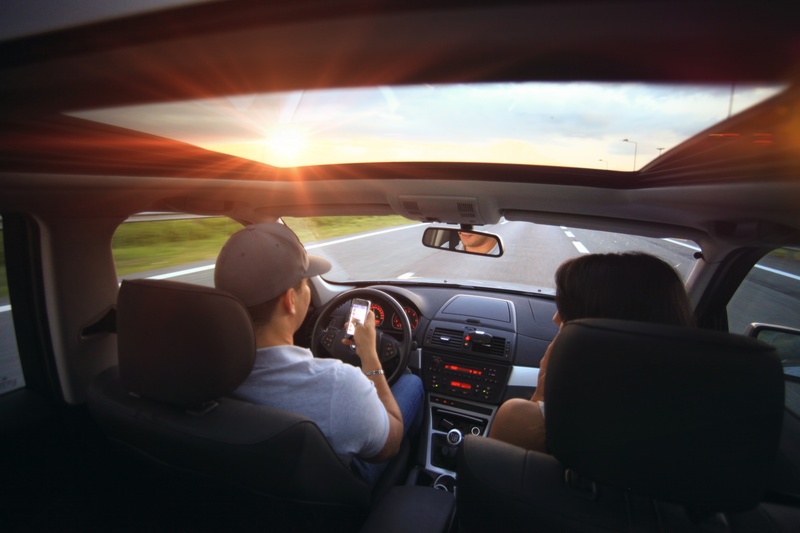 Buying your first car is an amazing feeling, you suddenly have a new lease of life and the freedom to travel wherever you like but it’s no secret that owning a car can be rather expensive, especially for young, new drivers. Insurance, tax and car maintenance are just some of the factors you need to consider when buying a car because the last thing you want is to find yourself strapped for cash over your new vehicle. t’s been said that a car loses 10% of its value as soon as you drive it off the forecourt and as the miles on the clock increase, the price will slowly start to decrease. In order to try and maintain as much value as possible there are a few checks and services you should carry out on a regular basis to keep your car in good health. There are no ifs or but’s when it comes to putting your car through its annual MOT it has to be done, unless it’s under 3 years of age. During an MOT your vehicle will be inspected to make sure it’s roadworthy and to detect any possible problems that may arise. Reputable companies up and down the country such as Kwik Fit, employ fully trained inspectors who can carry out an MOT on your vehicle. It’s best to do some research and see which garage and price is best for you. Any car should be serviced once a year as it helps maintain the condition of the vehicle and helps reduce the risk of a breakdown. If you’re worried about paying for a service then a number of companies offer a service plan where you can pay monthly and in some cases it works out cheaper. By marinating a full service history on your car it means that future buyers know the car is in good condition and you can consider that when naming your price. For a large number of us our car is our pride and joy and as much as we try and maintain a perfect appearance it’s inevitable that it will see the odd scratch and bit of wear and tear. When buying a new car you may want to consider having the body sprayed with an exterior protection, as this can help maintain the colour and prevent the car from ageing. Although it may not have been your fault, if you discover any damage to the exterior of your car then it’s worth having it repaired so any future buyers can ask to reduce the price because of the damage. It’s an almost impossible task to keep your car in perfect condition but hopefully the points mentioned will help to maintain good health and appearance for your vehicle. By following the above steps and considering other similar factors, you will be able to ask for a generous price when it comes to selling the car. It isn’t really that difficult to stop your car from losing performance from a faulty exhaust, but the really difficult part is detecting that there is a problem in the first place. Nevertheless, experienced car owners and mechanics know that there are certain telltale signs which help to spot a problematic car exhaust and we are going to discuss them now. 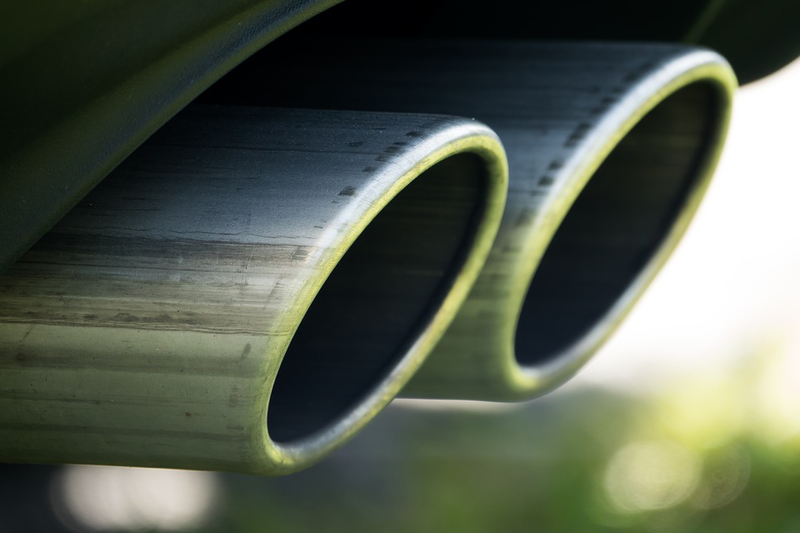 A faulty exhaust may lead to a significant loss of fuel-efficiency and power. This is one of the most obvious signs, but by the time it’s apparent, the damage is usually pretty serious and that’s why it might be a good idea to keep a regular tab on your car’s performance to detect any otherwise unnoticeable decrease in power and acceleration or fuel consumption. If you have a Ford GT or a Corvette Z06, chances are that your neighbors are already pretty annoyed with the loud noise the car makes, but even then, a malfunctioning exhaust system will make that noise louder. Listen intently while giving your car a cold start or while accelerating to check whether the car is making more noise than what you are used to hearing. If it is, then there’s likely a problem with your exhaust. Aside from the aforementioned louder engine noise, also listen carefully for a hissing or even a knocking/tapping sound. If you can hear something like that, you have an exhaust manifold gasket that’s not working right. Most people usually know that it’s time to fix a pipe if it’s dragging on the road, but what they sometimes neglect is the need to address a hanging exhaust pipe. Even when the pipe is intact but hanging only slightly, it’s necessary that you repair it as soon as possible to avoid accidents on the road, should that pipe break off in the middle of a drive. The engine and the internal systems are supposed to smell like gas because that’s what the engine runs on, but when your car’s interiors start to smell like gasoline, you definitely have a problem unless gasoline was brought inside the car for some reason. The smell should intensify while you drive and this is a sure shot indication that the exhaust tubes are leaking and the fumes are making their way inside the car. An unexpected burning smell is never a good sign anywhere and this is no exception. If you can smell something burning near the engine bay, it is very likely that your gasket has failed and the heat of the exhaust fumes are burning up the plastic wiring in the engine. While smoke isn’t uncommon either, the smell alone should be a warning sign strong enough for you to get your exhaust checked as soon as possible. Now that you know all the signs with which to spot a faulty exhaust, this at least should not pose any problem to you, provided you don’t end up ignoring them anyway of course!